It is an open battle between Rawil Gaynetdin, head of the Mufti Council, and Kamil Samigullin, Tatar Mufti of Kazan. For the former there is no persecution of Uighurs in China; the latter accuses him of acting as a sounding board for the Chinese government. Divisions also on the verification of halal food and on relations with foreign Muslim communities. 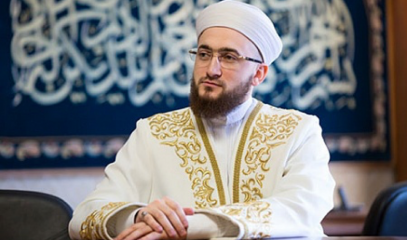 Moscow (AsiaNews) - The division between Muslims in Russia is growing wider, including those referring to Rawil Gaynetdin, head of the Mufti Council of Russia in Moscow, and the Tatar Kamil Samigullin, one of the leading Mufti of Tatarstan , the Tatar-Muslim region of Russia on the edge of the Ural mountains. The most evident conflict occurred last October in Astana, the capital of Kazakhstan, where the VI World Congress of Leaders of Traditional Religions was celebrated on October 10th. The Congress was attended by representatives of many communities, from Eastern to Christian religions (the Holy See sent Cardinal Francesco Coccopalmerio as its representative). 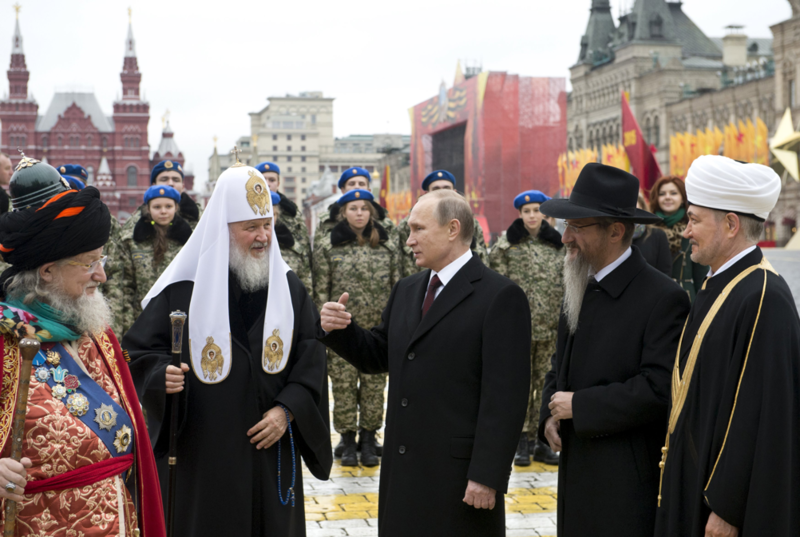 Several Muslim religious leaders, including the leaders of the main associations of Russian Islam. Their declarations caused a sensation in the homeland and among umma worldwide. Rawil Gaynetdin (photo 1, the first from the right), spoke about the condition of Muslims in the People's Republic of China, denying awareness of any form of persecution against them, indeed: the Chinese faithful with whom he is in contact, including those belonging to the ethnic Uyghurs, have assured him they live in absolute peace. These statements were however denied on Instagram by his Tatar compatriot Kamil Samigullin (photo 2). Criticizing the measures taken by the Chinese government against the inhabitants of the Uighur region, he said: "How can a religious leader not react to anti-religious policies? We in Russia have treasured the lessons of history, and the negative consequences of the fight against religion for the whole society ". His words were echoed by the president of the World Uighur Congress Reebiya Kadeer, who asked Gaynetdin in an open letter to pay attention to the testimonies of journalists, and not to act as a sounding board for the Chinese government. 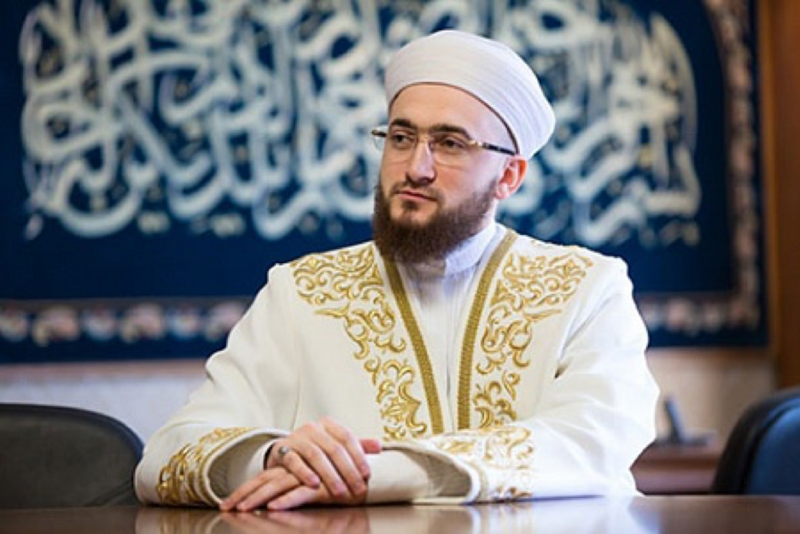 A statement by the vice-president of the Spiritual Administration of the Mufti of Russia, Damir Mukhetdinov, went on to clarify the words of Gaynetdin, who in his opinion is "the only one capable of acting as a mediator with the Chinese government in favor of Uighur Muslims, not like those who shout without knowing what they are talking about ". Uighurs are considered by the Tatars "blood brothers" for their distant Tatar-Mongolian origins. Besides the persecution of the Uighurs, various topics have been arousing reactions and opposition such as the diffusion of the halal shops in Tatarstan and in Russia and the opening in the Country of a Center for Verification of Standards, accredited by the authorities of Saudi Arabia, by some considered irregular and "scandalous". These controversies have also involved various Muslim personalities in Syria, a country largely controlled by the Russians, who criticize the protagonism of the Tatar associations. All these polemics highlight the existence of various "currents" within Russian Islam, and also a certain confrontation between the Muslim leaders and "capital" of the country: Gaynetdin is the oldest leader, very close to President Putin, and leads the Islamic community from Moscow; the youngest Samigullin is the main mufti of the historical Islamic republic of Kazan, capital of Tatarstan, who does not want to cede primacy on Russian Muslims to Moscow. This tension between the two capitals is permeating to other regions and other cities of the northern Caucasus of Chechnya, Ingushia and Dagestan or those of the other Tatar region on the border between Europe and Asia, the Bashkortostan and its capital Ufa. Gaynetdin also claims to be the "foreign minister" for Islam in Russia, especially towards the countries of Asia and the Middle East, but the other leaders are not willing to bestow this honor upon him, and the competition between them seems destined to become more heated in the coming years.